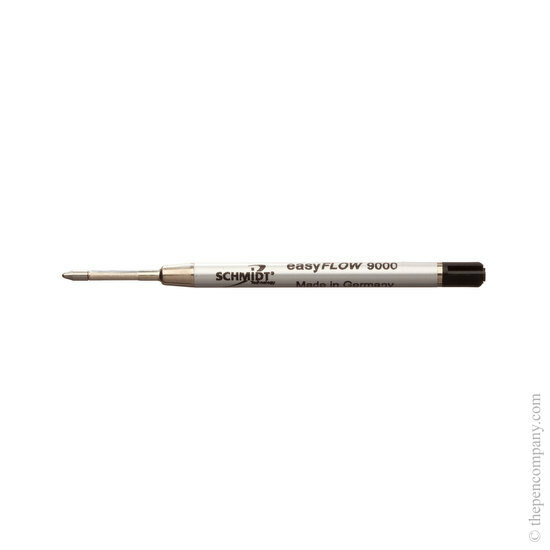 The Schmidt easyFLOW 9000 is a capless rollerball refill in the standard 'G2' DIN ISO 12757 shape used in the majority of retractable ball pens. The easyFLOW 9000 therefore gives the opportunity to convert and 'standard' ball pen to give a rollerball type writing experience. sourced ones with bad reviews re. small capacity, intermittent writing I found this source which with postage for a pair is still cheaper than retail shops. Writing is more fluid but slightly wider than the medium of a Parker from UK which I assume is geniuine as it came with the original pen. Conclusion highly recommended.